Thanks to all that watched us at Angelico’s Lake House on the 24th! Check us out at Stryker’s Café in Berlin on October 22nd! Thanks to the great crowd that saw us in East Hampton on August 20th at Angelico’s Lake House. We will be at the Hungry Tiger Café in Manchester on September 10th. We will see you there! Thank you to all that saw us at Chicago Sam’s in Enfield last night. We had a great time. Be sure to check out our show schedule for upcoming gigs! We want to thank everyone at the Hungry Tiger including the band Back in the Day for a fun show on the 23rd. Check us out at Chicago Sam’s in Enfield on May 13th! Thanks to all who came out to the Red Zone Tavern for our last show. We will be at the Hungry Tiger Café in Manchester on April 23rd. Hope to see you there! Thanks to everyone who came out on the 9th to see use at Stryker’s Café. Thanks to Mark and the entire staff for a great show! Thanks to everyone who came out to the Hungry Tiger Café on October 17th. Our next gig will be the night before Thanksgiving at the Red Zone Tavern on 1 Wall Street, right off of Main Street, near ABC Pizza in Cromwell. 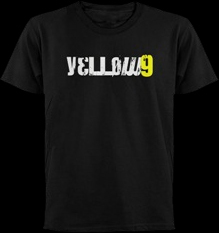 Yellow 9 hopes to see you there! Yellow 9 will be back in action on Saturday, October 17th at the Hungry Tiger Café in Manchester, CT. We hope to see all of you there! The show at Angelico’s Lake House tonight has been cancelled due to rain in the weather forecast. We hope to see everyone at our next show. Has the winter weather and the constant snow given you the blues? Check out our calendar for upcoming Yellow 9 shows to help bring in the spring! Thanks to everyone who saw us at our 15th anniversary show on October 25th at the Main Pub. Be sure to check out our schedule for more upcoming shows! Bring in August with the Hungry Tiger block party outside and Yellow 9 inside after the party. Show starts at 10pm. Hope to see you there!